Beginner Adult Martial Arts Classes Enrolling Now! Take advantage of this rare opportunity to get ripped and train in an incredible self-defense system from the very best instructor in all of Louisiana! 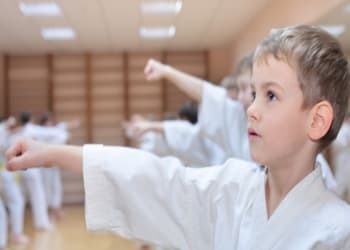 We're dedicated to make it easy and fun for you to learn and master martial arts. With an entire arsenal of kicks, punches, holds and throws that will outwit any opponent who dares to challenge you! When you come to our Martial Arts Academy, you're not going to get some average-run of the mill class. We take martial arts much more seriously. With every lesson, you'll learn how and why you train the way we do along with the ins and outs of the arts, the whys and the why nots, and more! Give you a head-turning, sizzling body! A SCREAMING BODY AND KILLER INSTINCTS ARE YOURS FOR THE TAKING WITH MARTIAL ARTS IN COVINGTON! If you want to finally get that great body you've been after, get more energy and feel great, all while learning the ultimate self-defense system known to mankind, then take the next step and come see what we're all about. Iron Bridge Martial Arts is convenient to Mandeville, Covington, Madisonville, Abita Springs and the entire region. Best of all, we have a wide range of class offerings and schedule that's guaranteed to fit your busy lifestyle. Don't wait any longer. 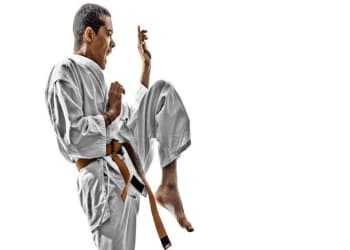 Just fill in the form on this page and we'll send you all the information you need to get started in our amazing Adult Martial Arts classes! Protect yourself in ANY situation and make your aggressor feel like the victim!